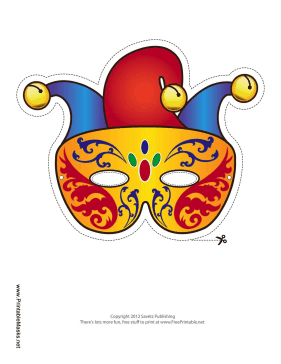 A jester hat with bells decorates the top of this Mardi Gras mask. The face portion itself is gold with blue and red ornamentation. This mask is free to download and print.